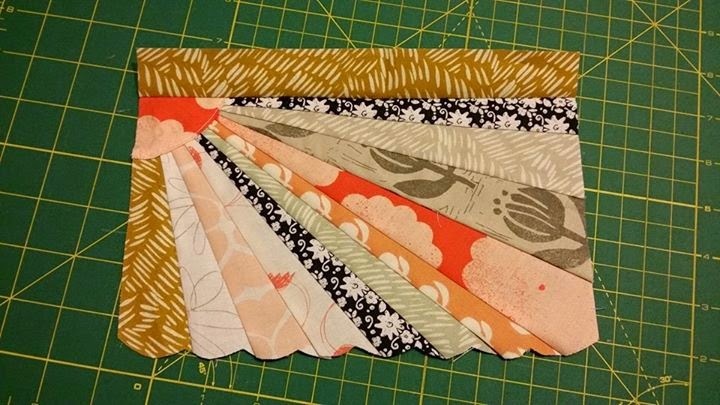 I know you had a sneak peek of the Sunburst clutch which is a collaboration between myself and Kerry at Pennydog patchwork, last week, but now it's ready for sale in my Etsy store so I'm back to show you our testers versions. First up is this incredible version by Katie. 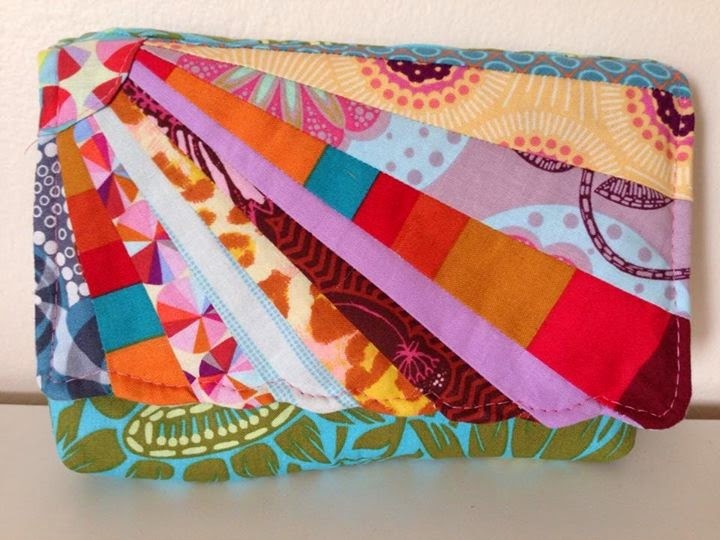 She's knocked it out of the park with this rainbow clutch! 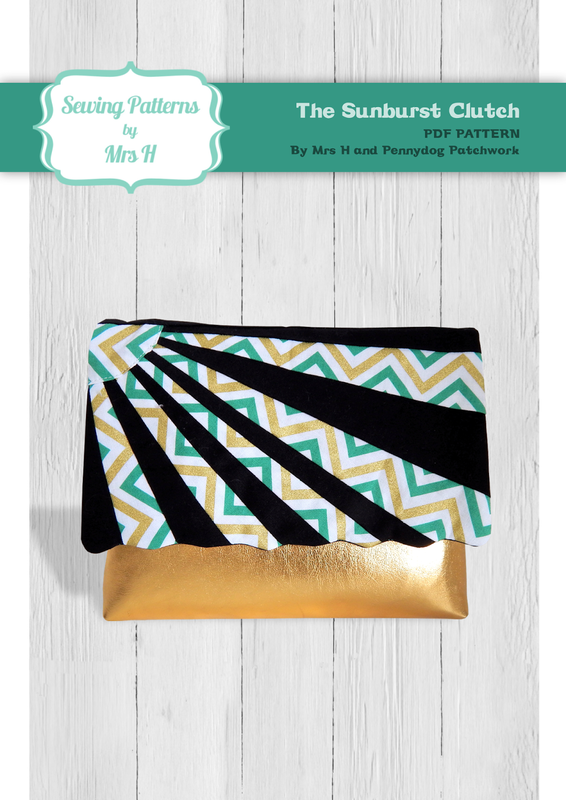 Next up is Maria with this beautiful solid + print Sunburst clutch. Always such precise work! 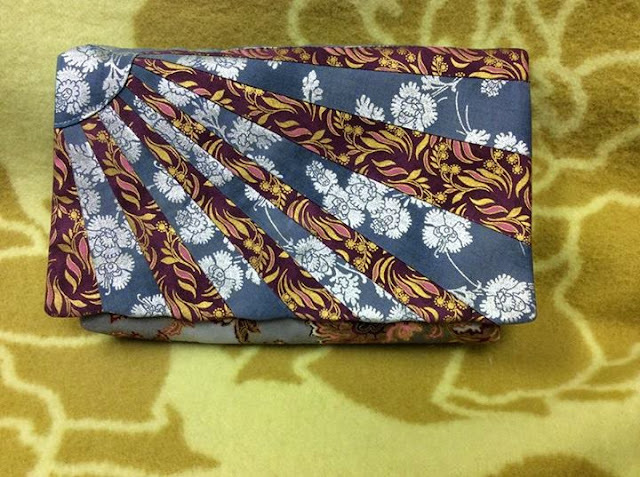 It must be stylish to use one fabric solid and one with a print I'd love myself, check out Joan's version! I love her fussy cut quarter circle in the top corner. 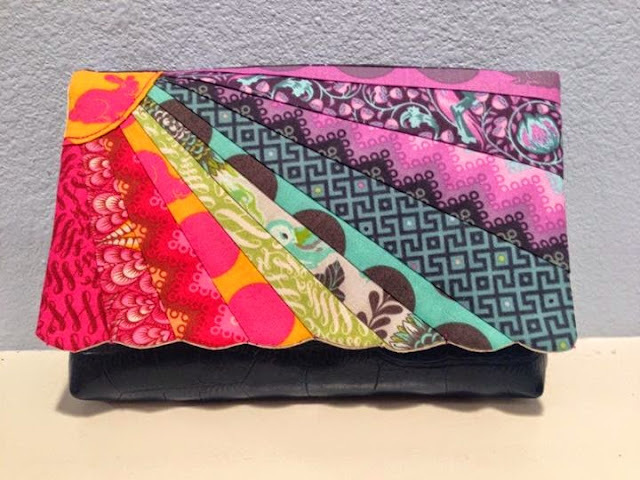 Next up is Barbara's Sunburst clutch in Breast Cancer support fabrics, Barbara sews selflessly for silent auctions and I'm privileged that she chooses my patterns to sew. 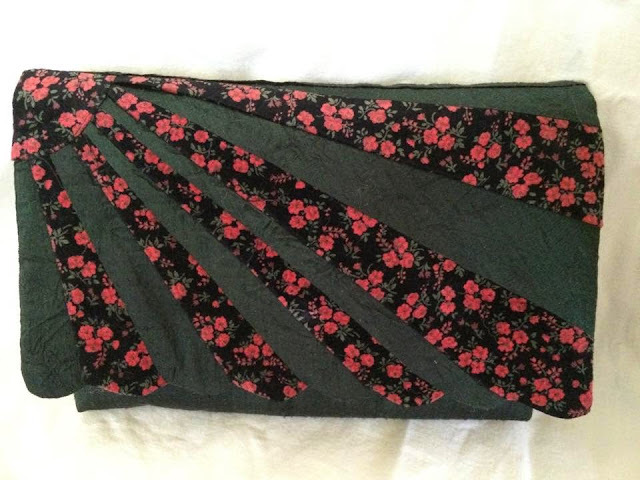 Simone from the Equilateral Donkey is still working on her clutch, but I thought you might be interested in seeing the pieced flap before it's sewn into the finished bag. Great work Simone! 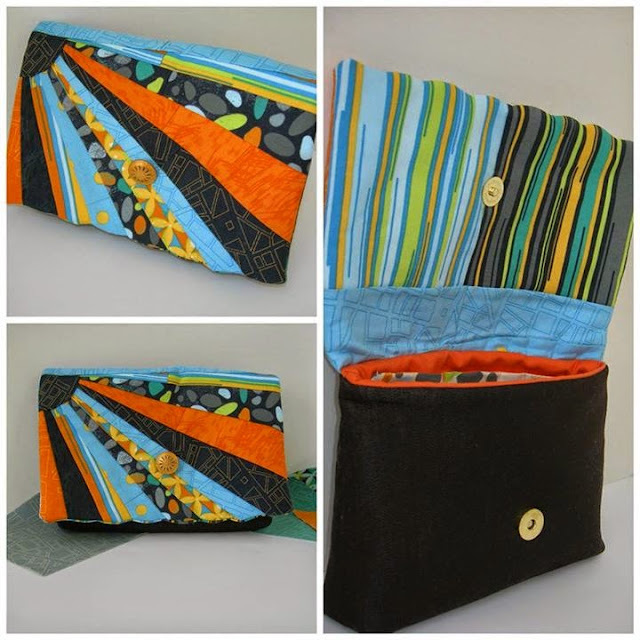 Check out Annette's happy little Sunburst clutch! There is so much great about her bag I can't even begin to tell you! Another beauty is this two tone version by Marisa, I love the brooch she's added, it's perfect! Nancy found these gorgeous metallic printed fabrics for her clutch, it's striking to look at and I bet it looks even more beautiful when the sun hits those metallics! 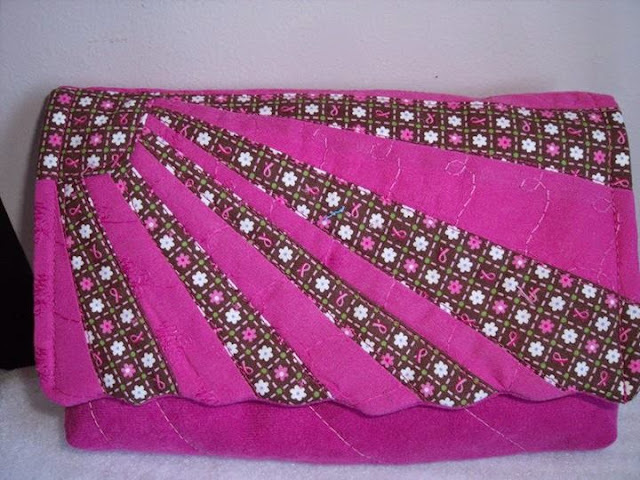 Jayne's clutch made in musical notes and chevron fabrics is monochromatic gorgeousness, it's so lovely! 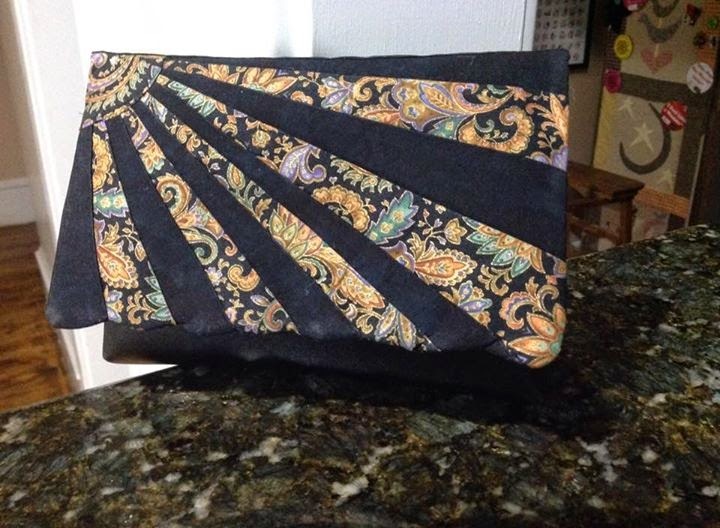 The lovely Dee made this beautiful Sunburst clutch out of cotton velvet and dark green Dupion silk! Janet was the first to finish with her very stylish Sunburst clutch, she spurred us all on to the finish line. 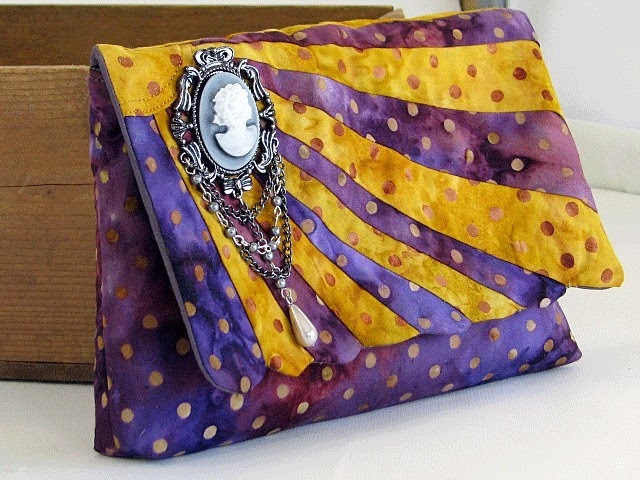 I can see her clutch accompanying her to a ball! 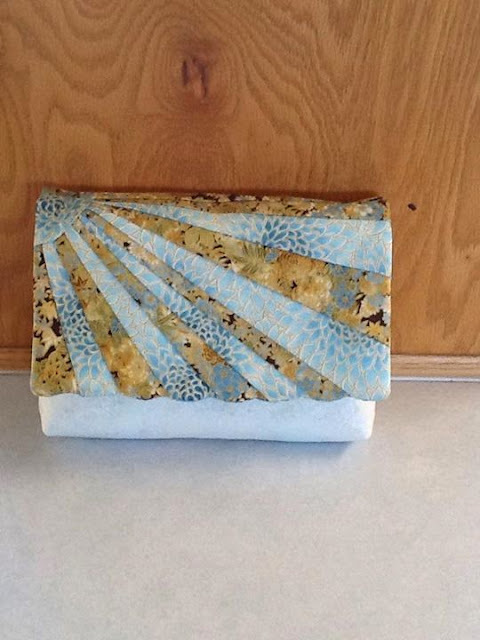 This bright and cheerful Sunburst clutch was made by Susie from Susie's Sunroom. Love the button feature on the front! Next up is Terri from A creative Princess. Her daughter very kindly offered to have a custom Sunburst clutch made for her as soon as she saw the pattern come through for testing. What a sacrifice! Not to be outdone, Terri managed to make another, this time for herself! It's a good job Terri is a generous mum! 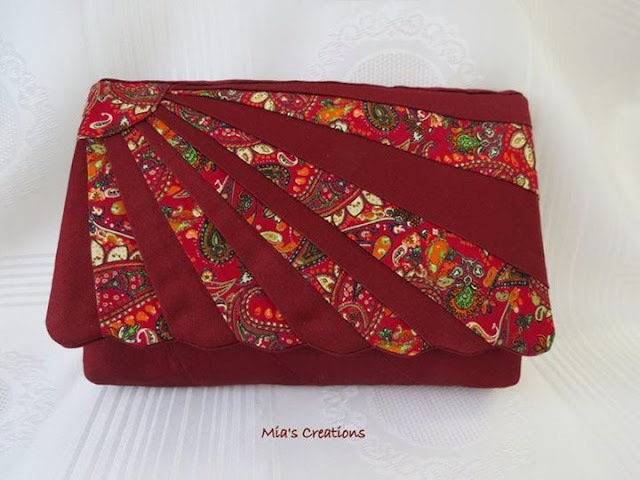 Mary knew she'd like a little handle on the back, so made her version with a small wrist handle attached, it's gorgeous and I love the two colourways of the same fabric. 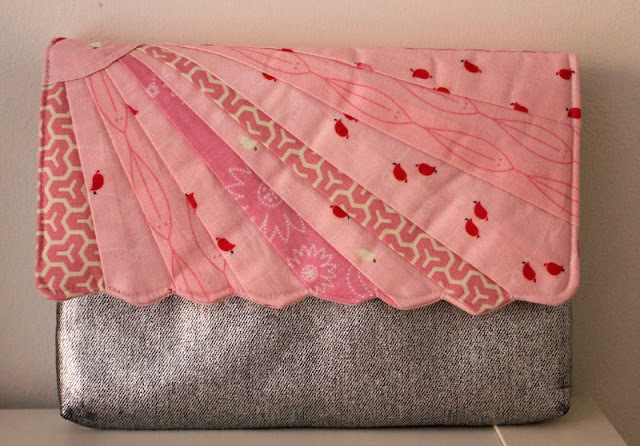 Emma from For my little monster used this selection of pink cottons and teamed them with silver denim. Unfortunately it lost a touch of shine when pressed accidentally, but I'm sure you'll agree that the combination is gorgeous! Emma's Sunburst clutch will be available for sale on Harley B's Facebook page between 22nd - 24th June, '15. 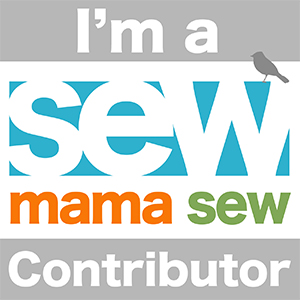 If you're interested make sure you pop over and like their page ready for when the sale begins! 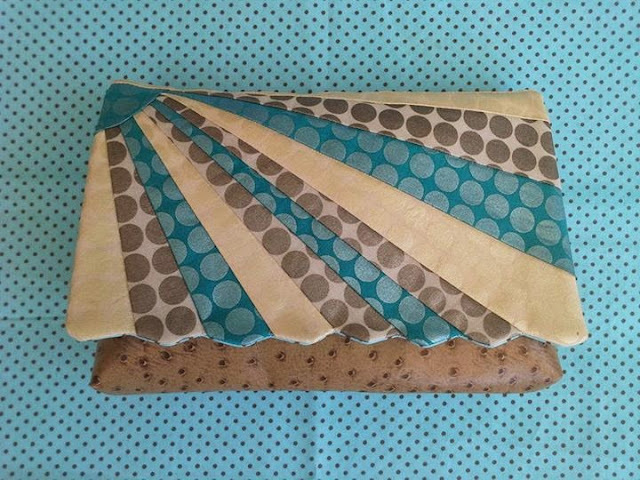 Margareth used some yummy faux ostrich skin for the body of her clutch and paired it with a flap made from three colourways of the same print. 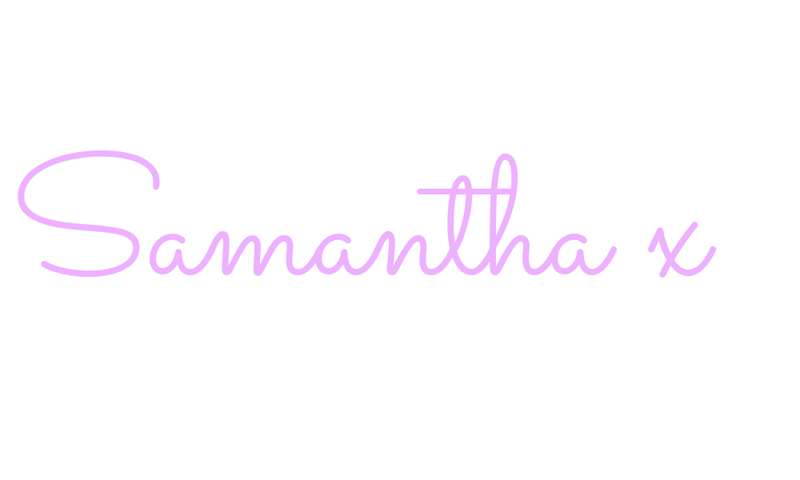 I love that teal colour! 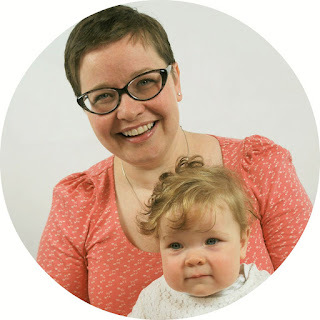 You can keep up with Margareth's makes on Instagram, she's got a great feed! 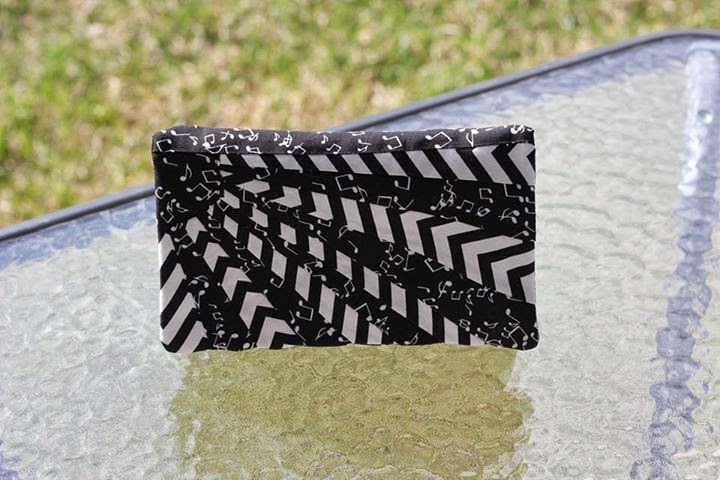 Once again Pat has created a stunning test bag for us all to see, the black really makes the print pop on this flap, and I think I can see a little sparkle! 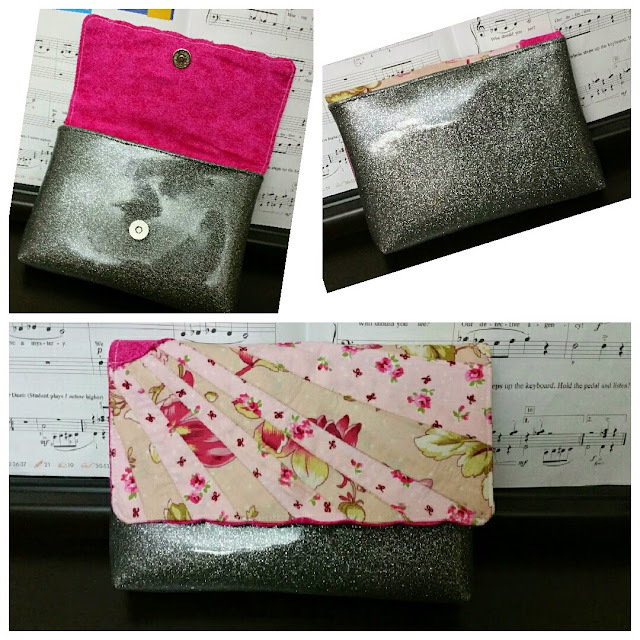 And finally...our last Sunburst clutch is provided by Anna who used glitter vinyl for her Sunburst clutch body! 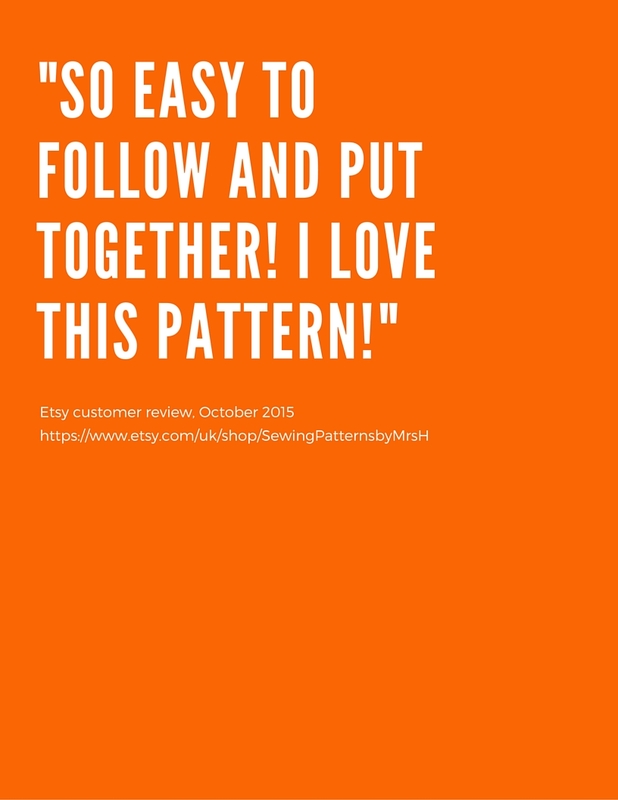 It's beautiful and really shows how versatile this pattern is. 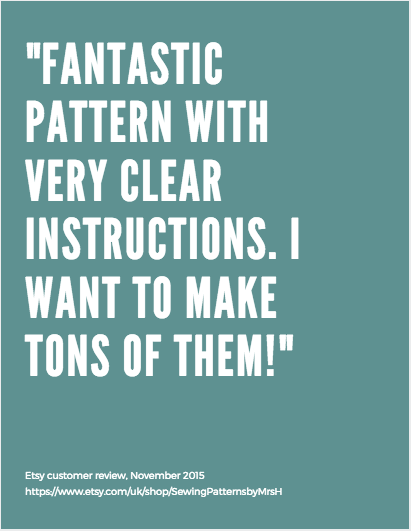 I'm sure you'll agree that all of the testers bags are gorgeous, once again I'm in awe at their creativity and humbled by their willingness to help me test my pattern. If you'd like to make your own Sunburst clutch, you can buy the pattern in my Etsy store here. 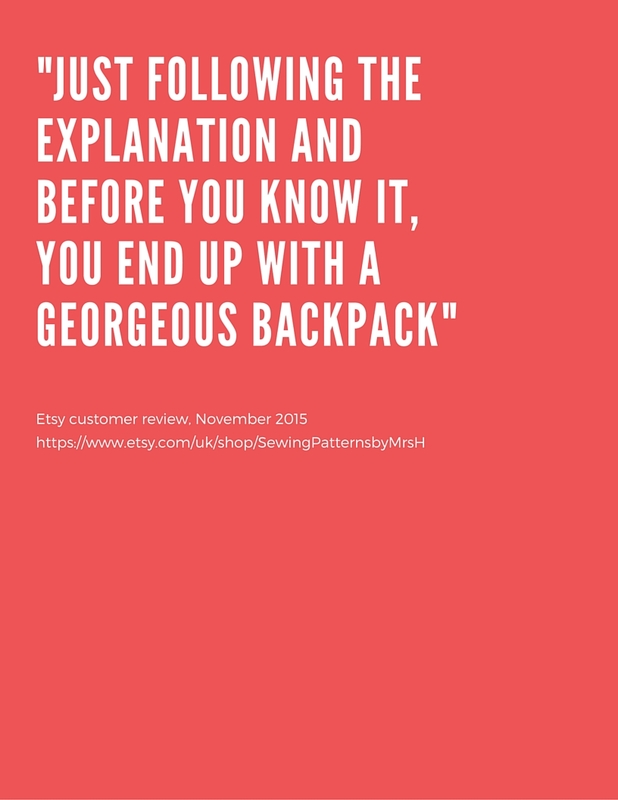 For this first week only the pattern is 15% off using the code NEWPATTERN15 . What a gallery of beauties! I love them all!